Why have so many customers already chosen RingCentral? Check out the results of our exclusive, new survey and see why companies just like yours have chosen RingCentral to service the communication demands of their business. Learn how they’ve implemented and are harnessing the power of the cloud to enrich the way their employees work. 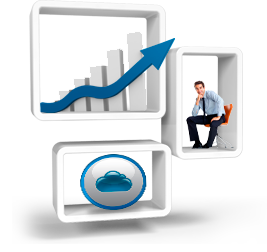 RingCentral Office is a cloud-based business phone and fax system. It combines a hosted phone system with advanced call and fax management, reliable phone and fax service, and full-featured IP phones that arrive pre-configured and ready for use. RingCentral allows me to be more prepared, to provide better customer service, and I am saving $50/mo over the last company I used.